Before meeting with the head of the local web site design agency, prepare yourself with some important questions you want answered during your initial meeting – questions that will save you time, heartache, aggravation and, yes, money. The World Wide Web Consortium (W3C) has developed a set of open standards to increase the stability and durability of the Web and your site. Is your site open standards compliant? 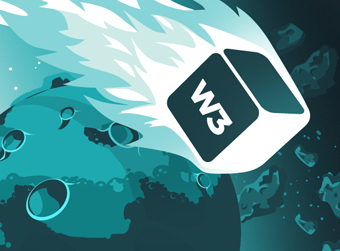 Here’s your chance to find out with our look at the latest from W3C. Using the advanced search options offered by Google, and available to any site owner, you can conduct your own market research, discover how your site looks to Google’s spiders, see what your competition is up to and optimize your site on a shoestring. Let us show you how. In March of ’05, Google applied for a patent on its new SE 125, the little search engine that could. The patent application describes how this new SE will use historical data from your site to determine its PR. See how this newest SE from the Google guys will impact your site’s PR. You’ve got a great looking site and a terrific product so why aren’t you making any money with your e-biz? Simple. Just as you have to market a new store or product here in the real world, you have to do the same with your virtual storefront on the I-net. Here are some tips that’ll help your enterprise get the notice you were expecting. Using open standards in the design of your site will deliver a bunch of benefits to your visitors and to you, today and tomorrow. Read why standard-compliant sites can save you money, pump up the bottom line and make your life a whole lot simpler. We live in an impatient society where even a few seconds matter – a lot. For example, 84% of visitors to your site will sit through a 10-second download. That number drops to 5% with a 30-second download. The key to converting visitors to paying customers is to help them get through the front door. Here’s how to do just that. In many ways, cyberspace is as wild and untamed as the Old West with snake oil salesmen, gunslingers and assorted desperados aiming to part you from your money. That’s why some organizations are trying to bring law and order in the form of open standards for everything from site design to SE algorithms. Check out how using open standards in the design and development of your site can save time, money and hassles today and down the road.